This entry was posted in Interviews, Press. Bookmark the permalink. Bill Kaulitz embarks on a new solo project under the artist moniker BILLY. As the singer of the band TOKIO HOTEL, the international superstar has sold over 7 million records worldwide, performed for 500,000 people in front of the Eiffel Tower, won hundreds of awards and gone platinum in 68 countries. In the midst of this enormous success, he is venturing on his own for the first time to release a 5-song EP I’M NOT OK on May 20, to chronicle his life experiences and the rollercoaster ride of finding and losing love. Available on all digital platforms worldwide and physical product in selected territories via Los Angeles-based De-Code LTD, distributed by Chapter One/Universal Music in Europe, Caroline in the US and Kontor New Media in selected territories. “Love Don’t Break Me,” the EP’s first official song release will be out on April 29, is a minimalistic/electronic ballad–which reflects a new sound and impressive growth in BILLY’s musical palette. The song is just one part of the multi-media hybrid art project which also includes a stunning Black and White short-film directed by Shiro Gutzie and Davis Factor and an accompanying fine art photo book with selected images from the film and other original pictures by the directors. A series of large format art prints complete the ambitious art project. “I didn’t want to do a traditional music release for my first solo project” BILLY says “I wanted the freedom to explore the other areas in my life that I am passionate about like Art and Fashion and felt that a pure music project wouldn’t fulfill my vision as a solo artist”. The fine art photo book which includes a limited edition 7” white vinyl of “Love Don’t Break Me” went on pre-sale unannounced on March 30, with the first 300 copies individually signed by BILLY. The $50 book available exclusively through the official BILLY website sold over 1,000 copies in its first 12 hours. News from the leader of Tokio Hotel: Singer Bill Kaulitz (26) apparently releases his first solo single “Love Don’t Break Me” on May 20th under the new stage name of “Billy”. His launch will be accompanied with a video, which will come as a short film. A book on this can be ordered now. In addition to a newly designed website, there is also a new official Twitter account @billyisnotok. The sound of ‘Billy’ should be indie alternative, and the first song “Love Don’t Break Me ” will be out in seven weeks. According to the official website, the track is “a story about despair, heartbreak and hope”. Thus, a special opulent photo book is already available for the fans, which you can pre-order on Billy‘s official website. It contains a lot of photos from “LDBM” video shoot- and that on 128 stylish black-and-white pages. The edition is limited. The good piece does not cost so little – at least 50 dollars. 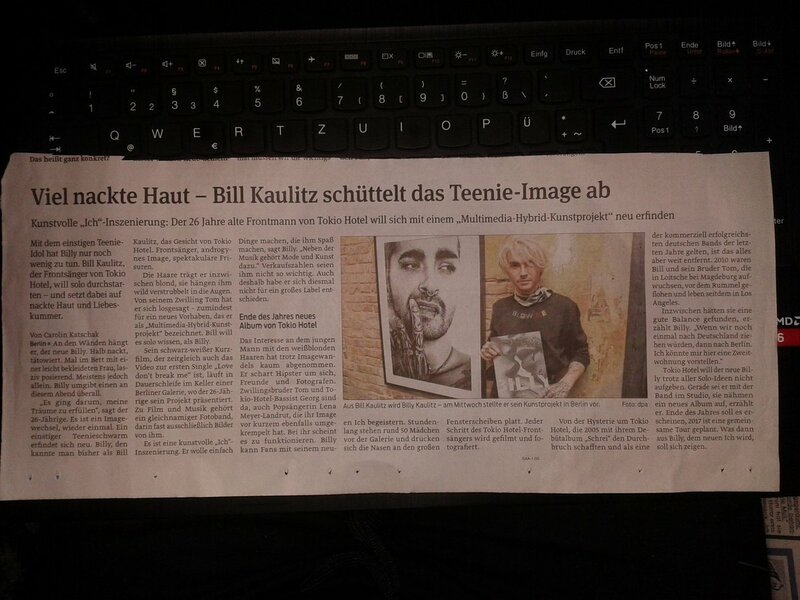 The first 300 copies, which were signed by Bill Kaulitz, are already sold out. New Facebook and Instagram pages for Bill’s solo project have also been created and are already quite successful: the Instagram account, with nothing yet on it from Billy, almost already has 8,000 followers.  The last Tokio hotel album was released in 2013 and has remained below expectations. In September 2015 was announced that the band started a contract with Studio 71, the multi-network channel of ProSiebenSat.1. Moreoever Tokio Hotel are planning on releasing a new album this year. Billy’s project will officially be announced next week. Originally written in German on Klatsch-Tratsch.de on March 31st, 2016. L’Officiel Hommes; Get your copy now! 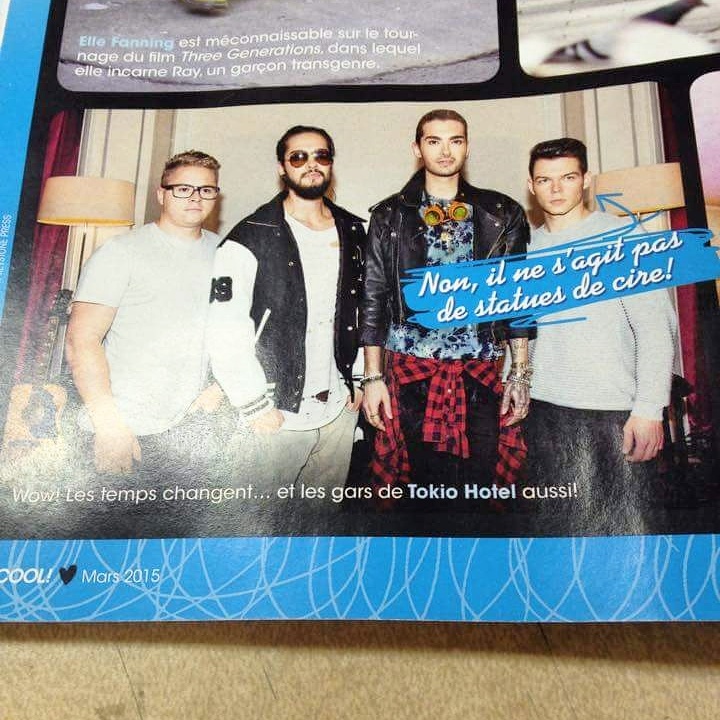 If you’re interested in the “L’Officiel Hommes” magazine with Bill & Tom, click here to buy your copy now! It’s 14,50 €, shipping included (20,54 CAD). Pour info, le magazine “L’Officiel Hommes” avec Bill et Tom est maintenant disponible sur le web. Si vous êtes intéressés, cliquez ici pour acheter votre copie dès maintenant! C’est 14,50 €, frais de port compris (20,54 $).